No business today can afford the cost associated with unscheduled downtime due to system fouling or clogging. Air Intake Filters help to keep debris from getting into fill material, thus helping to optimize the thermal transfer process, also helping to maintain good water ecology. The following photos represent a small sampling of the variety of cooling towers Air Intake Filters are used on. 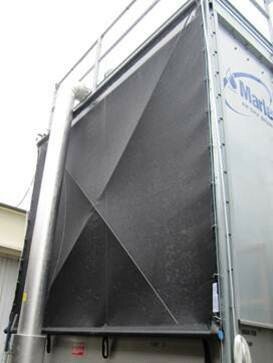 Air Intake Filters are a strategic element in a well managed cooling tower maintenance program.